*NEW* Have an historic American theater? We have an NEA presenting grant! Click here for details: Paragon Live in Historic American Theaters! Travel back to the early 1900s as modern life begins: America falls in love with electricity and automobiles, flying machines take to the sky, and vaudeville creates American Idols. 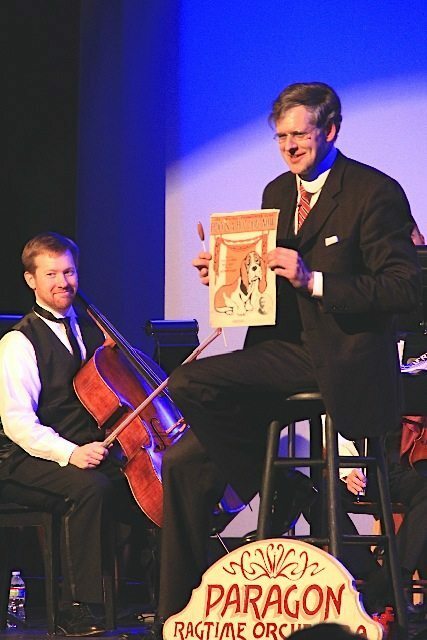 Join Rick Benjamin and the Paragon Ragtime Orchestra as they bring to life the thrilling sounds of Scott Joplin – “King of Ragtime Writers” – and his ingenious rivals, as they invent “America’s Original Music.” PRO’s most popular program – critically acclaimed across 48 U.S. states and several countries abroad! 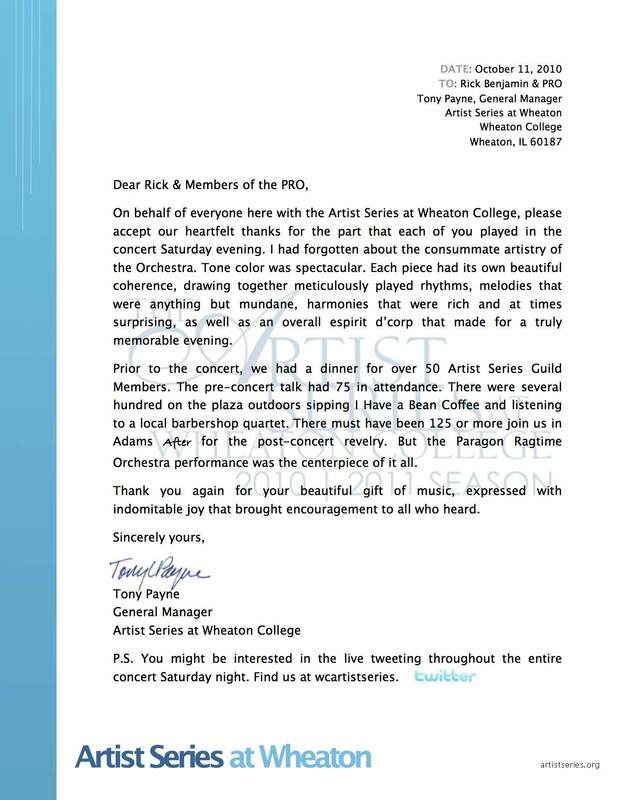 Download the PRO Concert Programs flyer/poster here: PRO Concert Flyer (PDF file). PRO performs the original 1921 score of Eubie Blake’s “I’m Just Wild About Harry,” a selection from the current edition of their Scott Joplin & the Original Kings of Ragtime program. Touring annually in November and December, ‘ROUND THE CHRISTMAS TREE is PRO’s stylish and warm-hearted tribute to America’s Holiday musical traditions. This colorful program features favorite selections from the theaters, ballrooms, grand mansions, and humble hearthsides of the Victorian era. 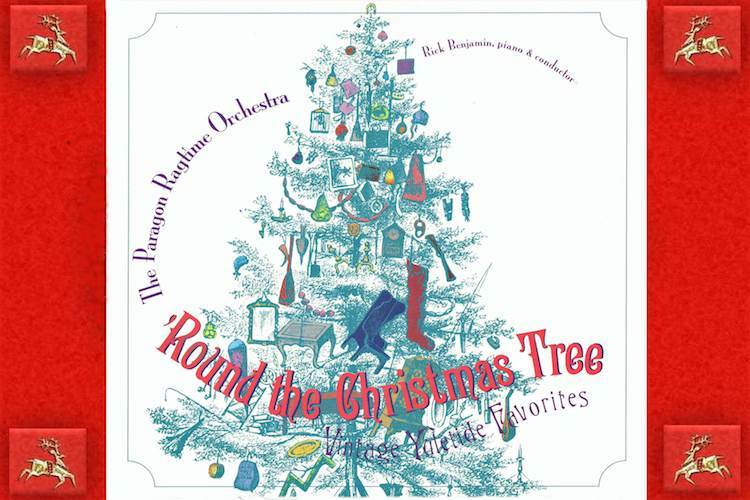 Familiar Christmas songs and carols are heard from their original 19th century scores, along with novelties (including a ragtime version of the Nutcracker Suite!) and sparkling instrumental and vocal soloists. 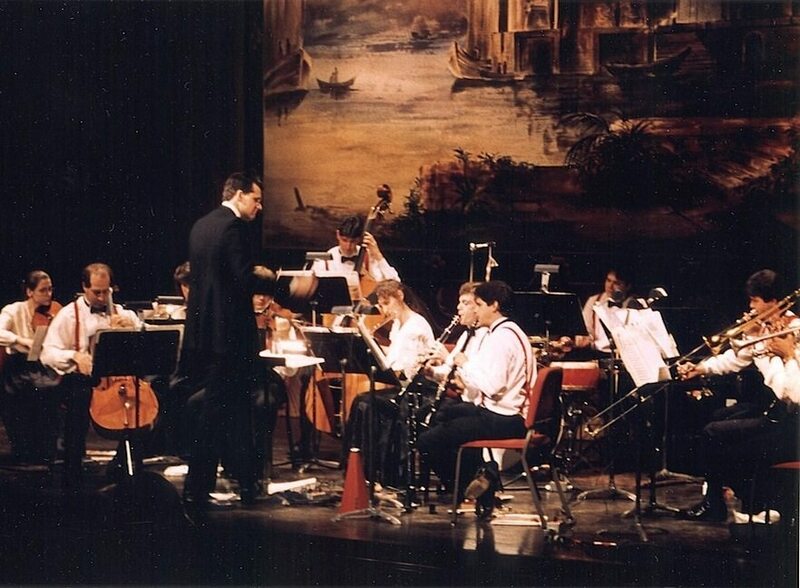 As a finale, the Orchestra accompanies a screening of one of the world’s first Christmas movies – a 1905 Thomas Edison production. ‘ROUND THE CHRISTMAS TREE is a unique event that will delight and cheer your audiences well into the New Year. Sample program and sound clips coming soon! 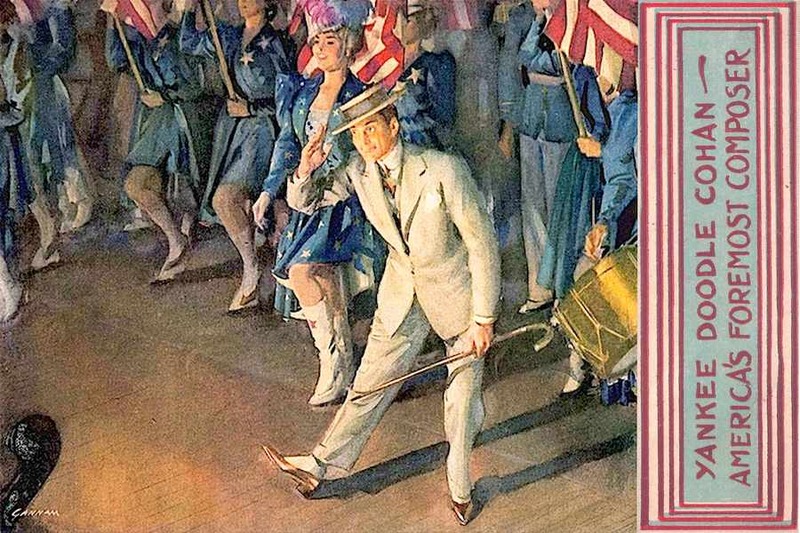 For generations, the name GEORGE M. COHAN has conjured the rollicking magic that is Broadway. And this legend is real: as America’s beloved tunesmith and original “Song & Dance Man,” Cohan actually was the father of modern musical theater. 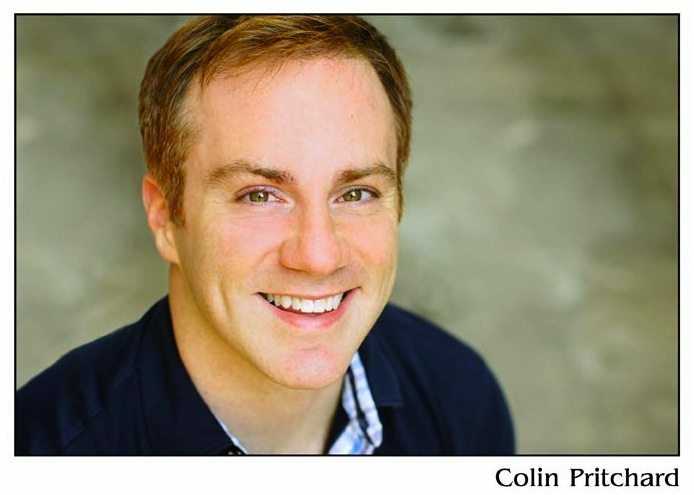 This exciting PRO program – starring Colin Pritchard – offers a stirring look at George M’s amazing life and music – “Give My Regards to Broadway,” “H-a-rr-i-gan,” “The Yankee Doodle Boy,” “Over There!,” and all the rest. You’re A Grand Old Rag is a tap-dancing bravura performance that brings audiences to their feet! 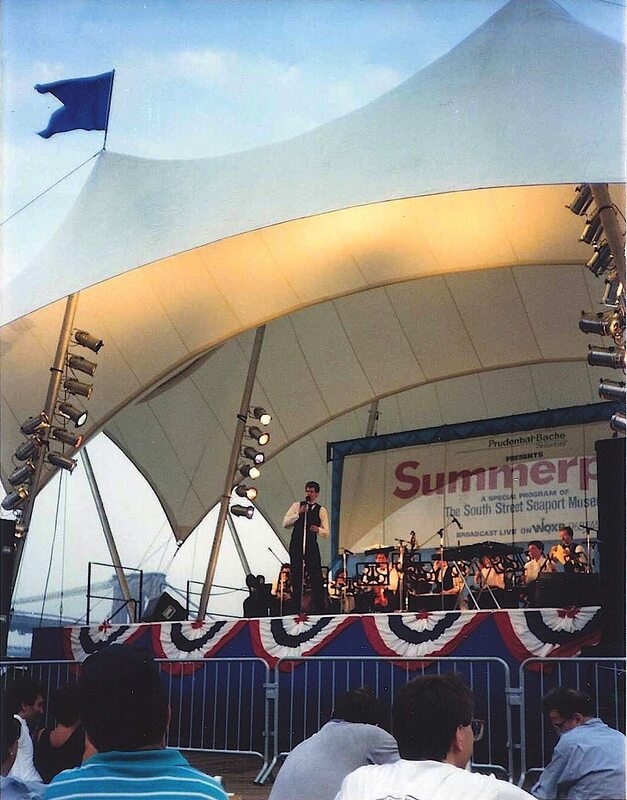 Kids love the Paragon Ragtime Orchestra too! 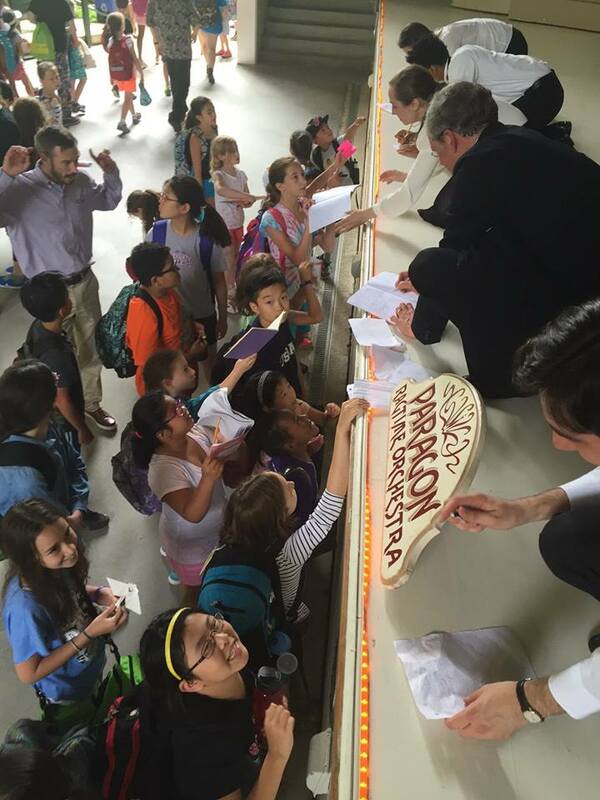 Here, members of the Orchestra sign autographs for happy school students.